Hi guys! I am back at it again with a blog tour! I love participating in Xpresso Book Tours' blog tours! They are always fun to do and they are always interesting. Xpresso Book Tours has supplied me with a copy with this book in exchange for an honest review but please note that this doesn't affect my opinion in anyway! Please note that this giveaway will end on 16 March 2017, and for this price you should definitely enter! This is international so get all the entries that you can! Seventeen-year-old Chelsea Knowles is surrounded by privilege. Michael Kors gym bags and designer shoes are part of her daily scene, but the talented cheerleader has a secret: she and her dad can barely pay the bills. Broken by his wife walking out on their family, Chelsea's father ignores his responsibilities. Between cheer costs, grocery bills, electricity, and other regular financial burdens, it's no surprise when a cut-off notice arrives in the mail. Chelsea knows it'll be up to her to keep the lights on. With the deck stacked against her, Chelsea decides to het their future on the dubious poler knowledge she learned from her father before he gave up on parenting. Nervous but determined, Chelsea heads to a casino with very little security and wins big. Thrilled by her won, she's quickly drawn to the casino again and again. She risks it all, especially when the attractive, young pit boss takes an interest in her. Chelsea's life, no longer filled with cheerleading, school and hanging out with her friend, is no consumed by smokey casino floors and the ups and downs of a gambler's life. True gamblers know when to fold, but Chelsea keeps betting long after her needs are met. The complicated web of lies soon begins to spin out of control, threatening to expose everything. Will someone see through her bluff? I received a copy of this book through Xpresso Book Tours. They provided me with a copy in exchange for an honest review and a blog tour post. I must admit, I am a little wary getting into this book mainly because this isn't a genre that I reach for regularly, or even at all. So I am going into on the back foot because of that. However, I will be keeping this in mind as I write up my review at a later stage. I definitely think that this book has an interesting synopsis. But I guess we will how this goes! The writing was really simple but at times it felt heavy and made it difficult to read. However there were moments where the writing had a brilliant pace and had an equally as great flow to it. I enjoyed that aspect of the writing a lot. Just like gambling, this book was incredibly addictive. I just couldn't put it down. No matter how hard I tried, it was nearly impossible. But whilst the story was incredibly good, there were multiple flaws. Such as how can she afford an expensive school but cannot afford to pay for anything else. If the father barely pays the bills, how can he afford the school... I know there are situations where this can happen, however it was explained like that in the book. I really enjoyed the story and would love to know more about what happens to Chelsea after everything... Maybe this is an opportunity for a small novella? Another hole in the plot that I found was that even though Chelsea was gambling to meet months end, she spent a majority of that money on clothes. I understand that there was a want to fit in with all of the rich kids at the school but for someone so conscious of their parents books, she splurged a lot of her money on meaningless things. I don't think that this matches her character. Chelsea is clearly has an addictive personality. 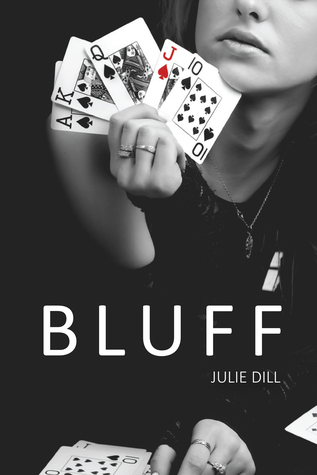 She quickly becomes addicted to gambling and ,although it makes her somewhat uncomfortable, telling lies. It was interesting to see who she had been and who she became. However, I would really have liked to see a little bit more of Chelsea before she got into gambling. Overall, this was a really great read and I thoroughly enjoyed myself. It definitely gives us insight into the mind of a gambler and an underage one at that. 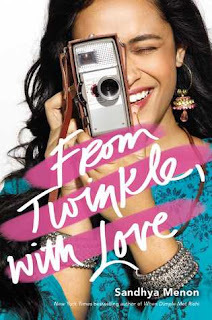 I definitely think that this has sort of reintroduced me to contemporaries but not the typical romance kind. I look forward to reading more books like this. Julie Dill lives in Oklahoma City where the wind always comes sweeping down the plains - literally. As a young girl she always wanted to be a teacher, so she went on to receive her Bachelor's of Science in Education from the University of Central Oklahoma and taught in elementary schools for ten years. Currently, she serves as an adjunct professor and loves helping students achieve success. 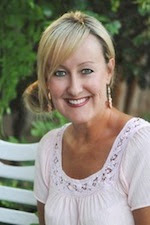 One of her grates professional accomplishments is earning her National Board Certification.